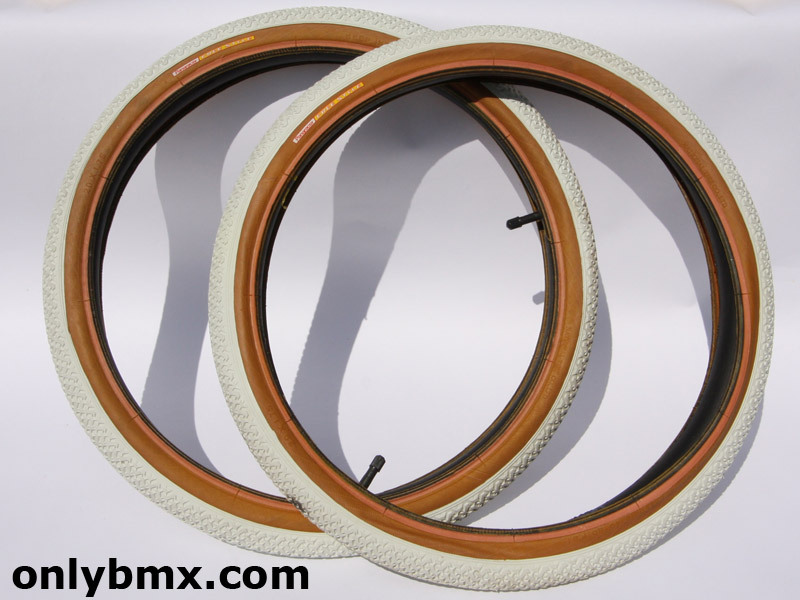 Pair of white Panaracer Freestyle BMX tyres. 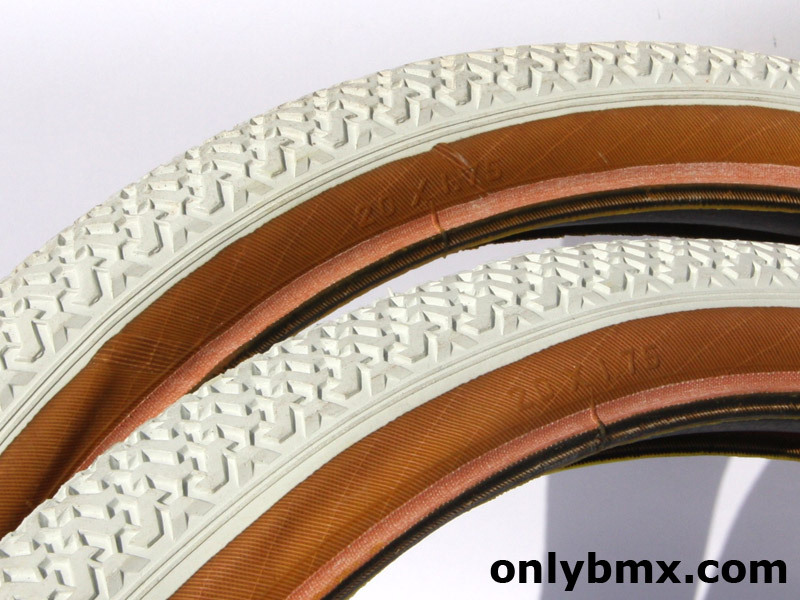 Both tyres are 20 x 1.75 size. Don’t know what it is about Panaracer tyres, however, the skin walls hold up really well with age. 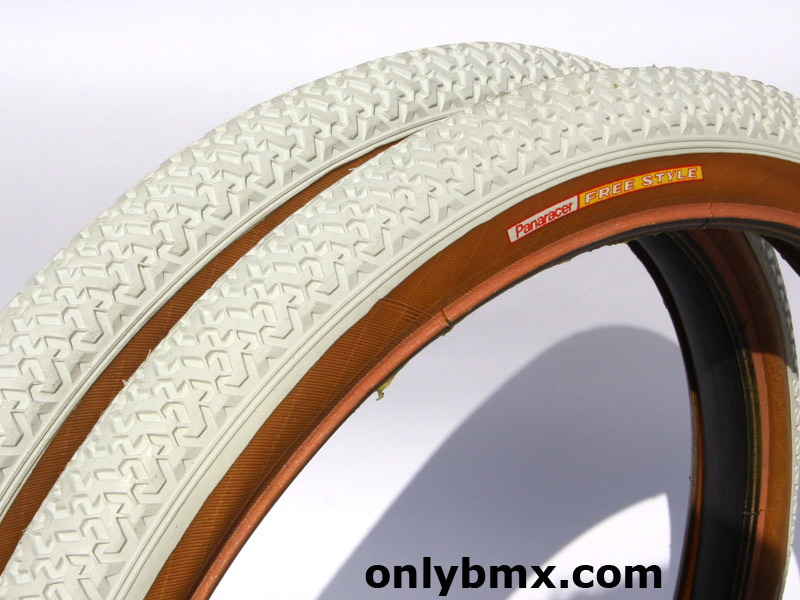 These ones are near, if not, perfect and no signs of drying like other BMX tyres of this age. 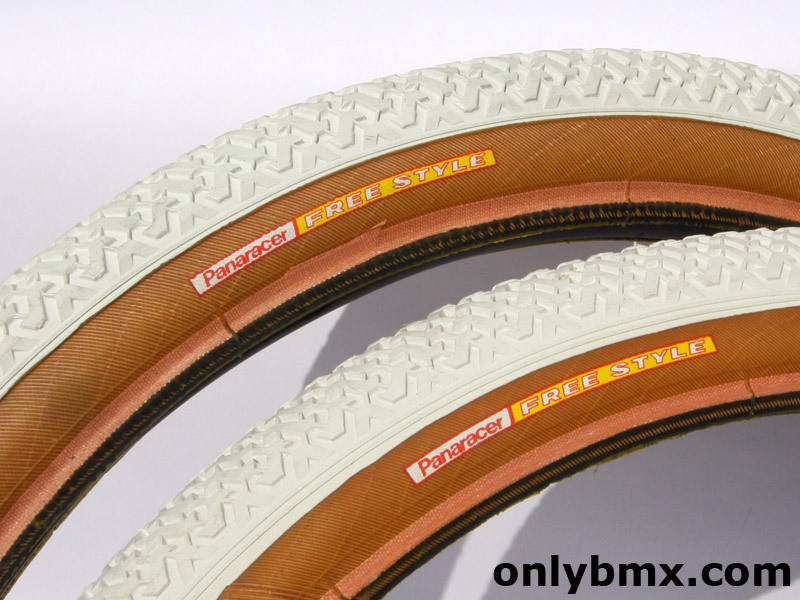 There’s a bit of shop dust on them which is to be expected particularly with white tyres. I’ll leave it up to you as to how you like to clean them as there are more opinions that people on that subject! These are not recent reproductions or anything like that and I have owned them for years. 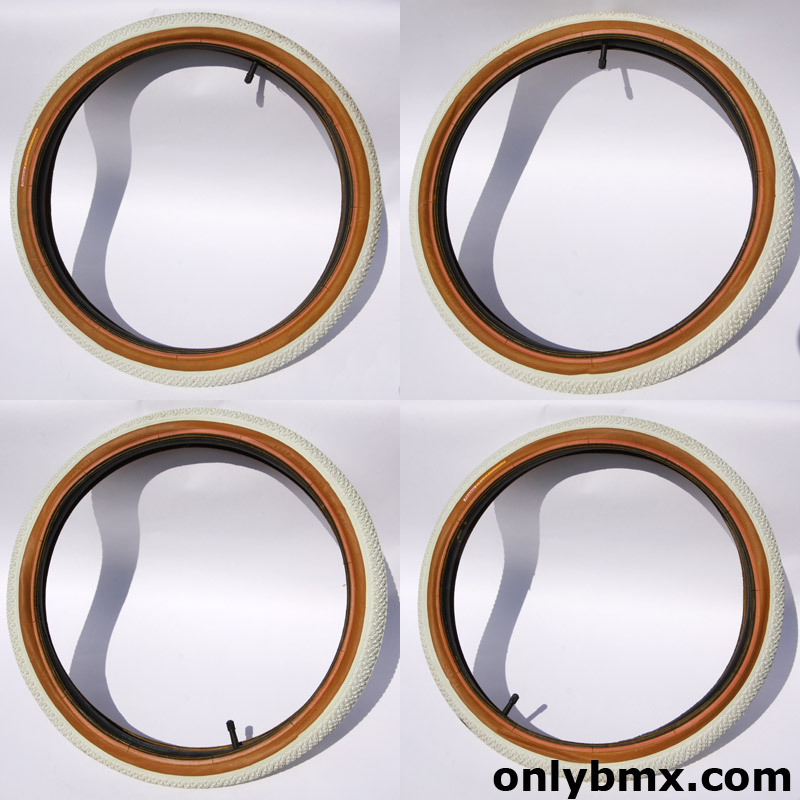 Doesn’t include tubes, it just makes it easier to photograph some tyres.